Interested in becoming a solopreneur? You might consider starting your one-person business, but don’t know anyone else who is doing this. That’s why this article is stuffed full of descriptions of podcasts from people like you who left behind the 9 – 5 life for one full of freedom and fulfillment. Hosted by Michael O’Neal, this podcast talks with some of the biggest and brightest solopreneurs around the world. Some of the fields that O’Neal gets his guests from include network marketing, fitness, music, acting, comedians, and other types of entrepreneurs. The one thing all of O’Neal’s guests have in common is that while people in their respective industries went one way, this podcast’s guests went in the opposite direction. What Michael does a little different from the other podcasts on this list is that he allows his guests to become “co-hosts”. This allows the shows to flow in a different way than a mere question-and-answer session. This makes for spirited, lively podcast episodes. “Working Without Pants” is a podcast started by Jake Jorgovan. Jorgovan is an entrepreneur and creator who helps sales teams develop leads through LinkedIn. What’s amazing about what Jorgovan does is that he never meets his clients in person. Instead, he does his podcast and travels around the world with his wife. In between everything he does, Jorgovan started his podcast so that he can interview consultants and agency owners and talk to them about all of the secrets of success. If you visit his website, you can even see a picture of Jorgovan in his underwear. That’s taking “working without pants” to another level! “Screw the Nine to Five” is a podcast started by Josh and Jill Stanton. They wanted to start the podcast to show the world how they make money from over 30 businesses while they live overseas. The Stantons consider their show a resource for others to teach them how to solve issues related to both business and life. When it comes to online businesses, the Stantons have certainly been there and done that. After leaving dead-end jobs, they decided to start a website and sell skincare products. After seven years of trial and error, they’ve come to a point where they have over two dozen business that they’re operating all at once. In “Marketing School”, digital marketing experts Neil Patel and Eric Siu give you lessons every single day on everything digital marketing. They have learned these lessons through many years of stomping their boots in the trenches. You might have a brand new website or your business could be more established. But listen to the podcast to learn content marketing, search engine optimization, email marketing, social media, conversion optimization, and online marketing tips that will actually work for your online business. Some of the more recent episodes that have premiered on “Marketing School” include rewriting your content and Twitter tools that you should use. How do you start a business? Well, there’s no one answer to that all-too-difficult question. While it’s never been easier to start your own company, it’s also extremely hard to succeed in today’s business climate. So what is a budding entrepreneur to do under these circumstances? “The Growth Show” examines some of today’s biggest business success stories. Some of the more recent podcast episodes featured the founders of a dating app that turned down a tantalizing offer from Shark Tank’s billionaire entrepreneur Mark Cuban. Other guests include the head of SEO software giant Moz’s Rand Fishkin and charity: water’s Chris Harrison. If you even know what a podcast is, then Gary Vaynerchuk needs no introduction. The social media guru and serial entrepreneur has made his name known on social media through his expletive-laden speeches about the importance of hustle and hard work. Now he has made a space in the podcast world. On Gary Vee’s podcast, you’ll hear everything from the audio versions of his popular YouTube videos, keynote speeches, fireside chats, interviews, and other random thoughts that pop up in Gary Vee’s head. With this audio show, you’ll get a little bit of everything from all of Gary Vee’s social media offerings. The School of Greatness’ Lewis Howes is a lifestyle entrepreneur, New York Times bestselling author, a world record holder in football, and a former pro athlete. What Howes wants to do with the “School of Greatness” is to share stories of inspiring success with the world. Howes talks to some of the smartest, most brilliant minds in business, Hollywood, and the world of athletics so that you can gain from these illustrious personalities what it means to be great. The “Launch Yourself” podcast was started by Melissa, a launch consultant and executive coach who helps people from all walks of life start businesses and place products in the hands of the people who need and want them. For the past seven years, Melissa has helped over 70 businesses and 300 people maximize their potential. As a result, this woman knows what she’s doing! What’s great about the “Launch Yourself” host is that she delivers straight-to-the-heart advice that nevertheless gets her clients going, going, going. But she also adds a compassionate touch, as she has been where her clients are now. Bryan Orr must love podcasts. He loves them so much because he has started several of them over his lifetime. He started and stopped several audio shows before he settled on the three that he currently runs now. The one that we’re going to talk about here is called “Career Cafe”. In it, Orr talks about career seekers and businesses in his home of central Florida. Orr’s “Career Cafe” podcast gets produced by Career Source Central Florida. 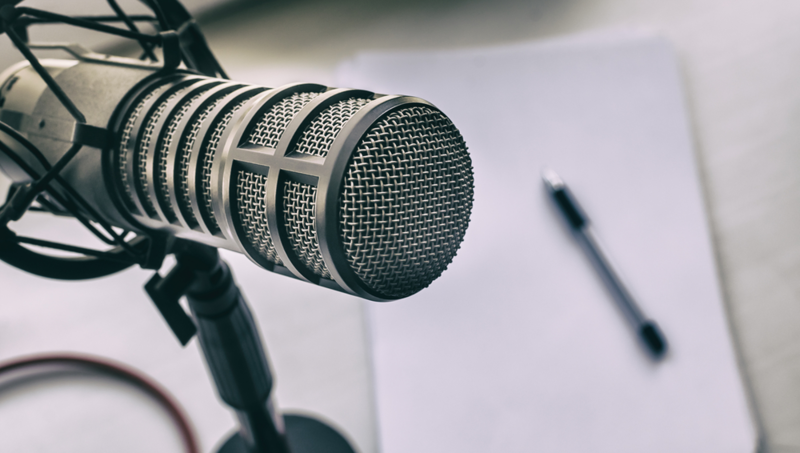 Orr also has podcasts on cars and garages, as well as one on the HVAC industry in Florida. Do you have an idea for a business? Or have you already started one but have questions about making more money, how to make money in the first place, or how to market your idea more effectively? Tune in to “Breaking Down Your Business” with Jill Salzman and Brad Farris. On every episode, Salzman and Farris talk to real entrepreneurs about the ins and outs of their small business. Instead of talking to product pushers, authors, and those who make money off of teaching others how to make money, the hosts talk to people who are actually in the entrepreneurial trenches.. Hosted by Brendan Hufford, “Entrepreneurs and Coffee” is a podcast that aims to get you off your behind and take action on your dreams. The podcast host is a person that gains a lot of value from hearing the stories of other business owners who have “been there, done that” and lived to tell the tale. Hufford wants you to make some coffee and listen to him chat with some of the best entrepreneurial minds working today. Some of the people that Hufford has had on “Entrepreneurs and Coffee” include Gary Vaynerchuk, Michael Hyatt, Pat Flynn, and Hal Elrod. “Finely Crafted” operates as a side project from the great people at Proof, a branding company that’s based in Nashville. The people at Proof started “Finely Crafted” because they love nothing more than to distill and develop interesting stories. That will definitely work out well for those who listen to this podcast. The podcast features stories of hustlers, creatives, entrepreneurs, artists, and other types of hard workers who go all out every day to make their dreams come true. The result is a story that you can use to make your own dreams come to fruition. As Loper says on his website, he believes “in the hustle.” Does this statement describe you? Loper’s website also says that he hates seeing “people live unhappy lives when they have complete control over their futures”. If you want more control over your future, take a listen (or five) to “Side Hustle Nation”. You might know “Rise of the Entrepreneur”‘s Zac Johnson as the “blogging guy”. On his website, Johnson says that he’s been making money off of the Internet for over 20(!) years. He’s actually made money off of his blog for over ten years. So when it comes to making money off of the World Wide Web, Johnson knows his stuff! Some of the illustrious guests that Johnson has had on “Rise of the Entrepreneur” include some of the biggest marketing minds operating in the online space today. Some of these guests include Neil Patel, Gary Vaynerchuk, and Nick Loper, all of whom made this list. Thanks so much for including me on this list! What an honor!